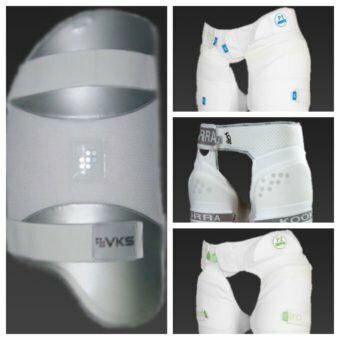 Cricket has become a fast paced sport with batsmen facing deliveries from quick and accurate bowlers. . With this in mind as well as a good pair of batting lads and gloves, it is essential to invest in some of the new 2 in 1 style thigh and inner thigh pads as made by companies like Kookaburra and Aero. Better cricket performance – this is what Aero strives to deliver in the strippers that are available in the market. Aero believes that while the demands of the players are quickly changing, many technologies seem to be from the yesteryears. A lot of companies are not adapting to the shifts in the sport. Aero dared to be different. They took the bold move to develop an entirely new product that promises to be better than technologies that should have been obsolete by today. Junior sizes are also available. 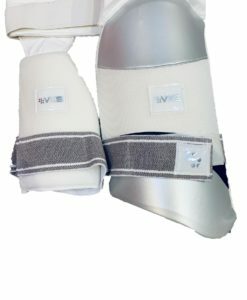 From it’s design to the materials that are used, the company has invested in extensive research to come up with newer versions of the traditional protectors for the lower body. 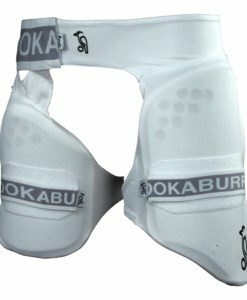 The traditional thigh pad has been added to with the Aero and Kookaburra 2 in 1 models. These models ensure the thigh and inner thigh areas of the body are properly covered and protected. It took nearly three years to finally design the Aero Strippers range, a product that now offers all round protection to batsmen of all ages and ability. 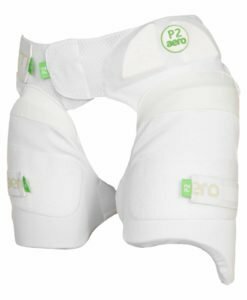 Aero Lower Body Protectors are designed to be an integrated system. 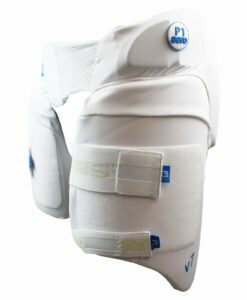 They will provide the protection that is needed not only by the upper and lower thigh, but also the and hip bone. 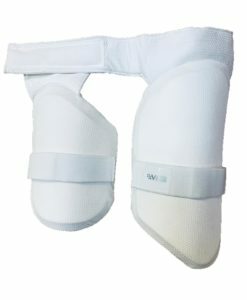 This is unlike the conventional thigh guards that protect only the thigh. Aside from the intelligent design, Strippers are also exceptional because of the choice of materials. Among others, they use 3D molded high-impact plastics, which can stay rigid despite the pressure that can be applied by your opponent. There is also a polyester mesh, which is antibacterial. This makes the protector hygienic, and at the same time, comfortable. It encourages ventilation in the lower body to prevent sweating and discomfort. 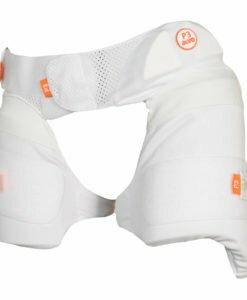 If you are looking for the best body protectors, there is no need to search far. Aero Strippers will be amongst your best bets. In a marketplace wherein many manufacturers do not have the drive to move forward, Aero became braver. The company challenged the existing design principles and came up with products that are now being imitated by their rivals.